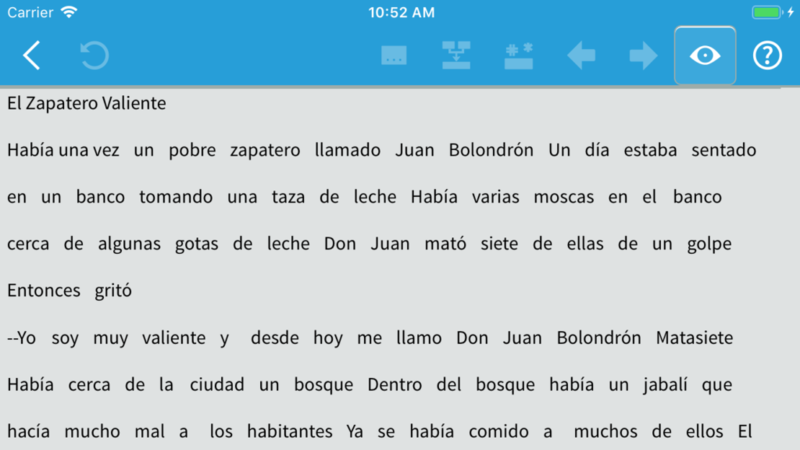 Preview Mode allows you to quickly view your translations as you work. Click on the Preview Mode button to show a read-only display of your current translation. If you spot an area that needs improving, you can click on the Preview Mode button again to return to the normal adaptation mode and make the needed edits. Transferring files using Android File Transfer and iTunes File Sharing is still supported. Support for automatically merging phrases as you translate (issue #353). Improved support for punctuation in phrases and retranslations. These issues can be found in our issue tracker.